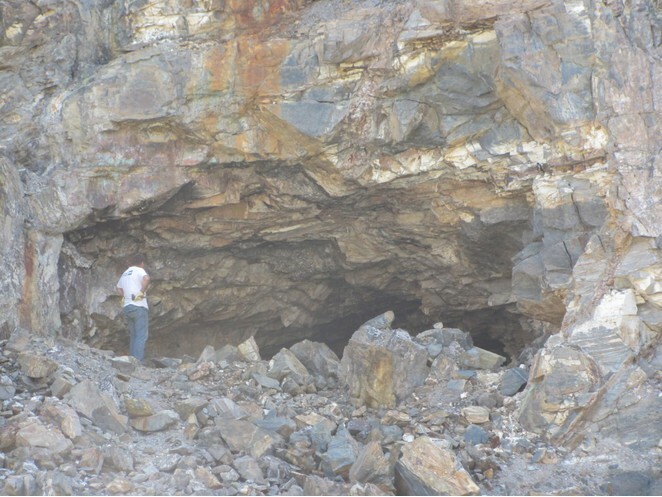 A tin & tungsten mine located 45 km west-northwest of the Brandberg & 90 km from Uis. 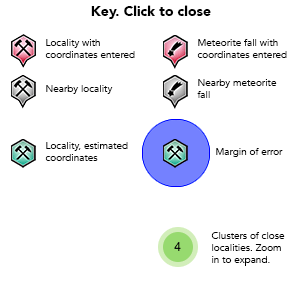 The deposit belongs to a number of Sn-W deposits occurring in an east-northeast-trending belt of the Southern Kaoko Zone in the northern coastal branch of the Damara Orogen. 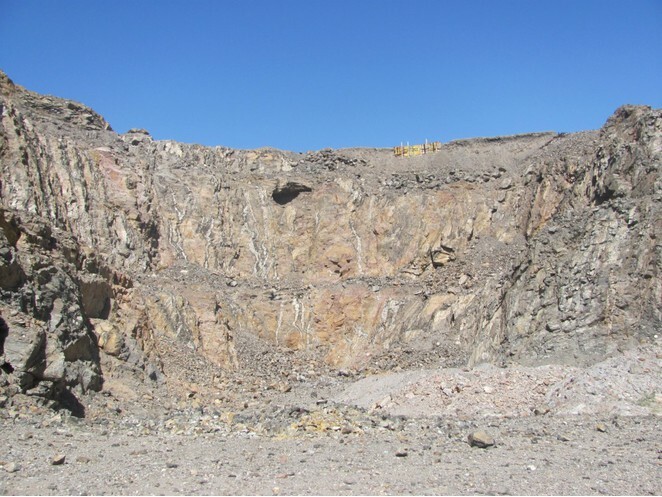 Ore was extracted in an open-cast mine (1946-1980). 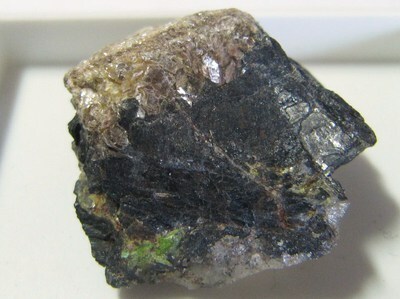 Quartz-sulfide-cassiterite-wolframite veins are hosted by metasediments of the Swakop Group. Reference: Macey, P., and Harris, C. (2006): Mineralium Deposita 41, 671-690. Reference: Pirajno, F., Petzel, V. F. W. & Jacob, R. E. (1987): Geology and alteration-mineralization of the Brandberg West tin-tungsten deposit, Damara Orogen, South-West Africa/Namibia. South Afr. J. Geol. 90, 2562 69. Reference: Berger, J. 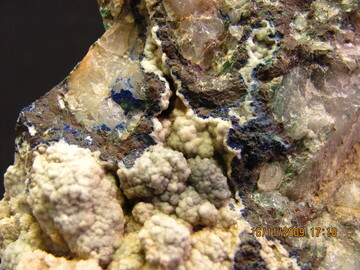 (1979): Kostbare Klippen, Lapis 04(1) 27-30 (in German); Macey, P., and Harris, C. (2006): Mineralium Deposita 41, 671-690. Reference: Evers, T. J. J. M. & Bowen, M. P. (1989): Lithogeochemistry as a tool for extending mineral resources; the Brandberg West tin-tungsten deposit, Damaraland, South West Africa/Namibia. J. Geochem. Explor. 34, 47-62. Berger, J. (1979) Kostbare Klippen, Lapis 4(1) 27-30 (in German). Von Bezing, L., Bode, R., and Jahn, S. (2008) Namibia Minerals and Localities. Edition Schloss Freudenstein, Bode Verlag GmbH, Haltern. Pirajno, F., Petzel, V.F.W., and Jacob, R.E. (1987) Geology and alteration-mineralization of the Brandberg West tin-tungsten deposit, Damara Orogen, South-West Africa/Namibia. South Afr. J. Geol. 90, 2562-2569. Evers, T.J.J.M. and Bowen, M.P. (1989) Lithogeochemistry as a tool for extending mineral resources; the Brandberg West tin-tungsten deposit, Damaraland, South West Africa/Namibia. 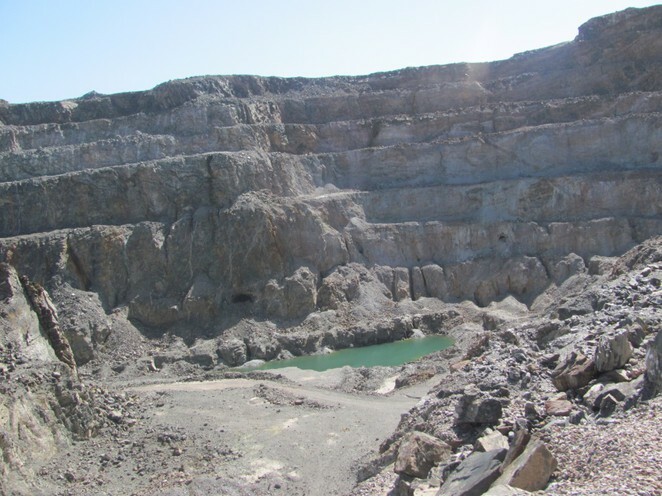 Journal of Geochemical Exploration 34, 47-62. Werner, A.B.T., Sinclair, W.D., and Amey, E.B. (1998) International Strategic Mineral Issues Summary Report - Tungsten. US Geological Survey Circular 930-O. Macey, P. and Harris, C. (2006) Stable isotope and fluid inclusion evidence for the origin of the Brandberg West area Sn–W vein deposits, NW Namibia. Mineralium Deposita 41, 671-690.